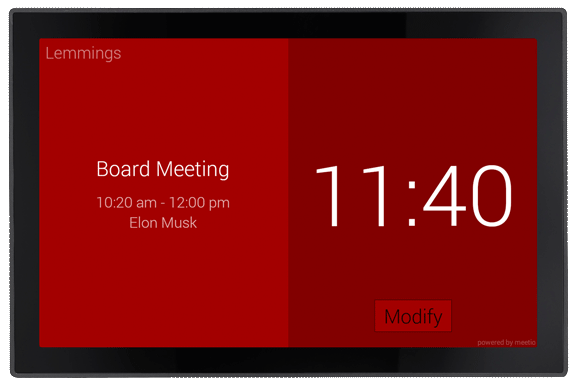 Take control of your meeting spaces with a Smart Meeting Room Manager, intuitive and tactile. Thinking about the productivity of companies, PARTTEAM & OEMKIOSKS a leader in the manufacture and development of multimedia kiosks and digital mupis, offers a management application and reservations of meeting rooms, simple to integrate also in their technological equipment. 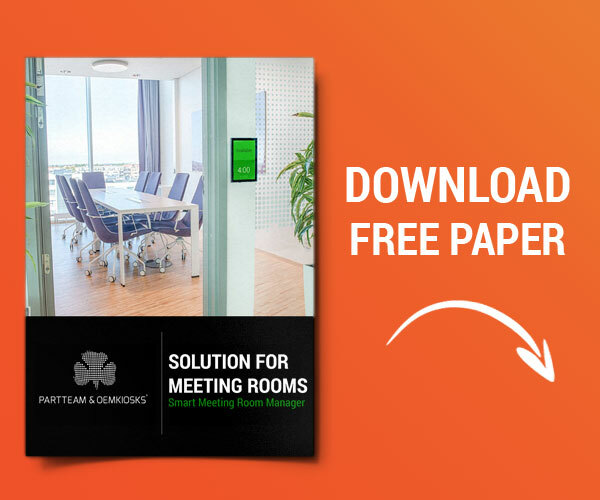 This easy-to-use application allows companies to book meeting rooms in just a few minutes. The system will prevent a room from being scheduled twice at the same time. An intuitive management system and room reservations that can optimize the management of meeting rooms. The room management system marketed by PARTTEAM & OEMKIOSKS will solve some existing flaws in productivity and organization of work meetings. 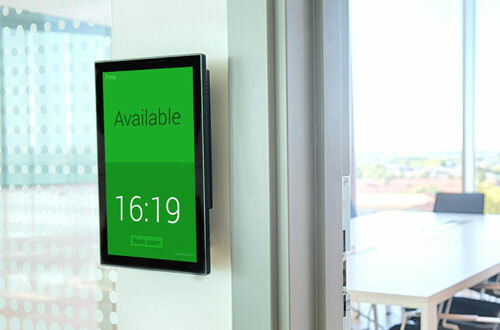 Through this system, you can reserve or cancel the meetings directly on the digital screens that may be installed in different places of the company. Simplify the management of reservations in your meeting rooms with this system. 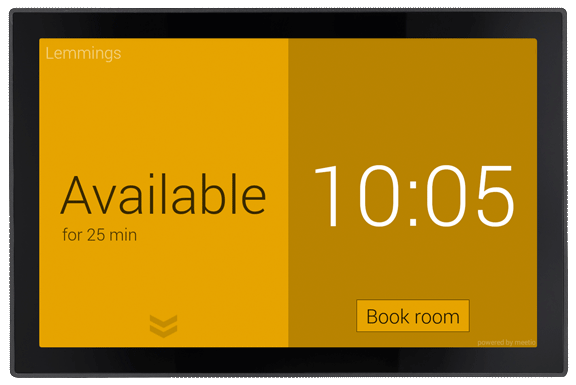 A room manager that bridges the gap between your digital room calendar and physical space. It connects seamlessly to your room resources and all information is synced between the digital calendar and the tablet. 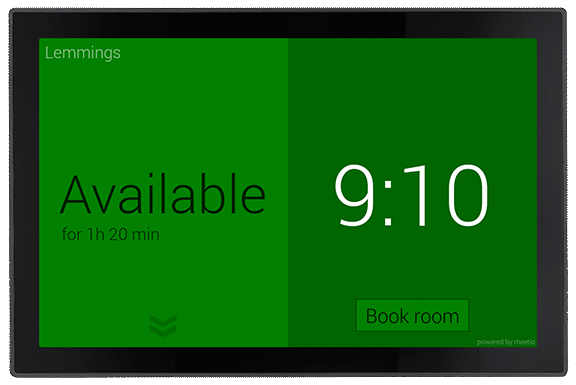 Green color indicates the room is available and ready to be booked, from the device or through your calendar management software. The yellow color indicates that the room is free to be used, but not for long. Perfect solution for a quick phone call or an instant meeting. Red color clearly indicates the room is in use. You get the info about when the meeting will end, so no need to knock on the door and ask. See instantly if a room is being used. Green for available, yellow for soon to be occupied and red for occupied. Book a free room! With the ease of two clicks the available room is yours. Your colleagues will see that it’s occupied in their digital calendars too. To make sure reservations are actually utilized for meetings and free up the time when they’re not. Set a time for when the meeting should be cancelled if not checked in. Connect to your existing calendar. No add-ins or server software required! Brand the room manager by adding your own company logo to the screen and alter the color scheme to fit your company profile. Shows how many people the room is suited for. Central management of all the tablets in the cloud based, no extra software or servers needed! Scroll through the meetings of today to see what time slots are left or when the next meeting will start. Allows you to make personalized bookings. You get to decide the room, time, name etc. Free up that extra time from your booking and make it available to colleagues by pressing “end early”, just two quick clicks on your way out of the room. The app limits the user to only be able to access the room and can be customized in what actions are allowed on the tablet. No extra fuzz in the app to make matters complicated. Supports over 20 languages. The app adapts to the language of your personal device. Shows what kind of equipment the room offers, such as TV, projector, whiteboard etc. Allows users to report equipment that doesn’t work properly. Provides data about room usage and booking behavior, enabling you to adapt functionality and plan your space better. Over the years the business sector has evolved substantially. Multimedia kiosks and digital billboards are thus an increasingly indispensable tool for companies. Multimedia kiosks and digital billboards are developed and produced in Portugal by PARTTEAM & OEMKIOSKS. The success of our company in the international market shows us that we develop and produce products of excellence and that we must therefore be confident in the future and proud of Portugal. More than 100 models at your disposal. 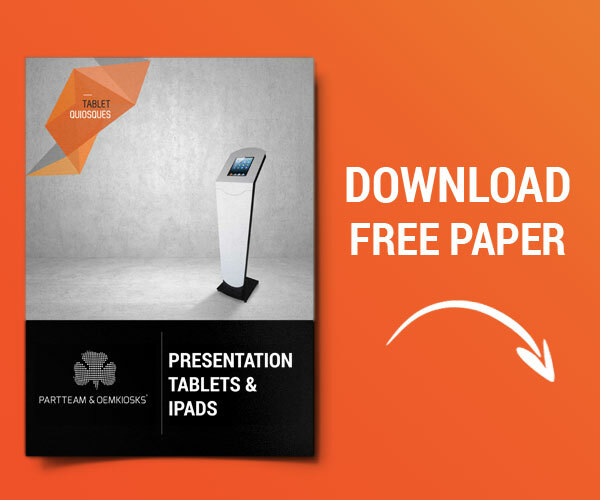 Download the paper is completely free.